Come playoff time, team owners, the coaches, the fans, and the networks broadcasting games all hope that the league’s superstars will live up to their billing. If they do, their respective teams will have a better chance of winning. If the stars from both teams show up to play—even better; that means we have a ball game on our hands. As the point totals for John Wall and Isaiah Thomas started to grow Tuesday night, it became clear that was exactly what fans had on their hands—a ball game. 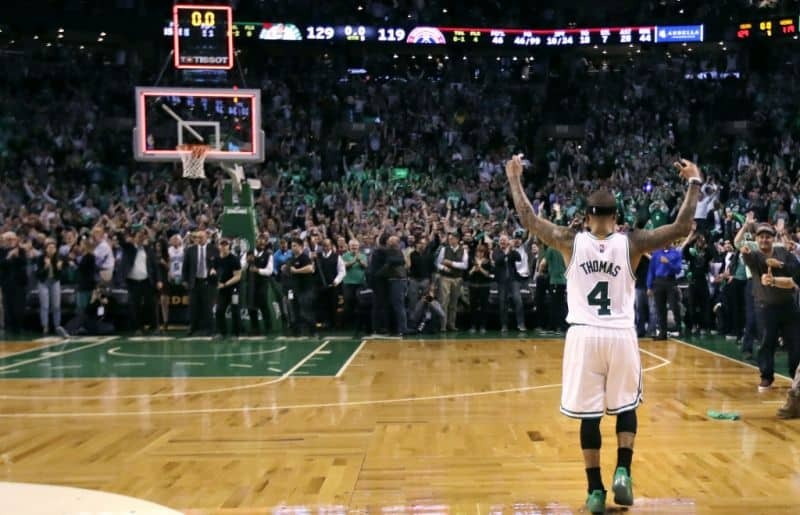 Thomas led the way for the Celtics with 53 points on the night, a personal postseason best for him and the second-highest playoff total in Celtics history. He also had four rebounds, four assists, three steals, and only two turnovers. Wall didn’t disappoint either. He led the charge for the Wizards with 40 points and 14 assists. But when push came to shove, and the game went to overtime, it was Thomas that came through for the Celtics with nine of the team’s 15 points in OT. Wall didn’t score. 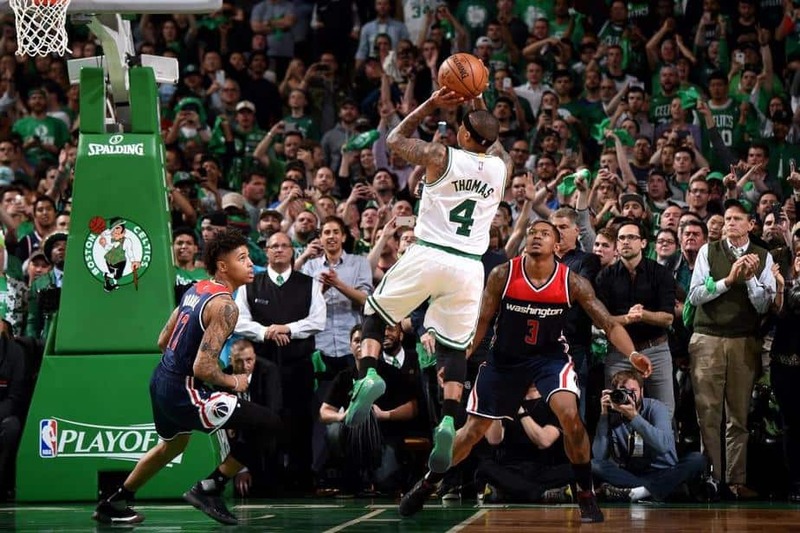 In fact, the Wizards only made two baskets for five points allowing the Celtics to go on to win 129-119 in OT. Thomas could be seen fiddling with his mouth piece at times; something he is wearing now after losing a tooth in Game One. Team doctors tried to put it back during the game, but it wouldn’t stay. So, he ended up spending much of his time between games getting his tooth back where it belongs. While his end game was impressive, the contest didn’t start out so well for Thomas and the Celtics. John Wall and the Wizards ran the show in the first quarter and got out to an early 42-29 lead. The Celtics turned the table in the second quarter and managed to close the gap to 64-67 by halftime. Washington nudged the lead back out to five points by the end of the third quarter, 89-84. But then Isaiah Thomas took over the game. He scored 20 in the fourth quarter including a pair of free throws to tie the game up at 114-114 with 14 seconds left. His nine-foot jumper at the 2:47 mark in OT put the Celtic up for good. John Wall got plenty of help from his teammates. Six Wizards other than Wall scored in double figures, but they didn’t get much out of Bradley Beal. Beal only made four of fifteen shots on the night and only one from nine from three-point range for 14 points (five of six from the free throw line). It was his second-lowest point total of the postseason (12 points in Game Three against Atlanta) and worst shot percentage (26.7 percent). He’ll have to do much better when the series moves to Washington D.C. for Game Three (Thursday night at 8 PM ET on ESPN).